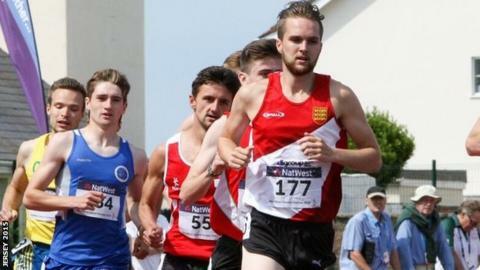 A government report has criticised the way sport is run in Jersey. It says there are too many bodies involved in looking after sport in the island and one group should be formed to oversee everything. The new body would be 'arms length' from government, but taxpayer-funded. "What we're talking about is one clear cohesive body rather than several voluntary organisations that do various things," said Jersey minister responsible for sport, Steve Pallett. "Some groups overlap and I don't think that's potentially good use of volunteer's time," added Pallett to BBC Radio Jersey. "There's issues around the amount of time people give to sport now and what we're trying to do is get the best out of the volunteers we've got." But the head of Jersey's Sports Council has criticised the report. Hugh Raymond says not enough consultation was done with sports groups in the island. "If you look at the way the report was set out, there were 45 face-to-face consultations, and according to their paperwork there are 65 sports associations and 260 sports clubs," he said. "Of those they only interviewed 12 sports and of the 45 people they met face-to-face 29 were fully-employed by the States of Jersey. "Perhaps they didn't have time to see anybody, but if you were a volunteer in one of these organisations and some of the comments that were made, you'd start asking 'What am I doing? '," he told BBC Radio Jersey. The report's recommendations still have to be approved by Jersey's government, and there is no timescale on when any new body would start its work. "There will be disappointment from some of the groups that they feel that the report doesn't really show them in a good light, or show that they haven't got a future role within sport in Jersey," Pallett said. "I don't want to upset those people or in anyway demean what they've done, what we're trying to do is work with them, but clearly the report shows that we've got too many organisations." However, the independence of any new body was queried by Mr Raymond. "What they're trying to do is to pull us all together and I don't have an argument about that at all," he added. "But if you replace a volunteer organisation with a paid set up which is funded by the states, my mind says that they will have a certain amount of control."